Full Peruvian - Stunning white full Accoyo out of Augusto, "the worlds highest selling Huacaya". 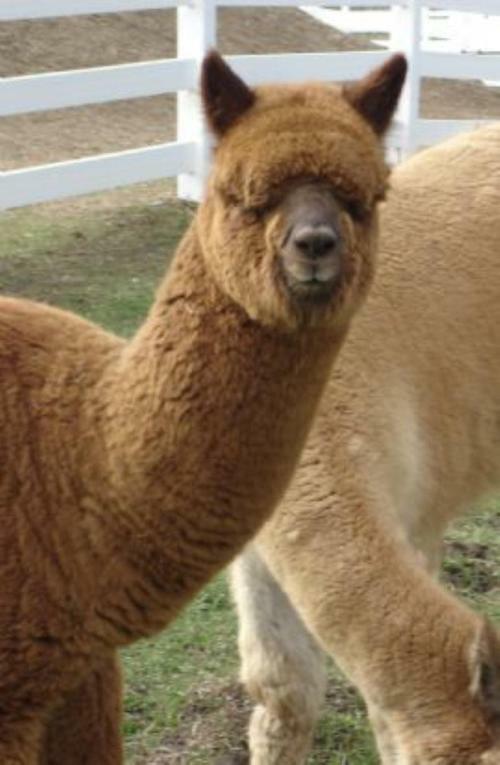 Accolade has crimp that is consistent throughout his fleece, excellent handle, luster and bundling. 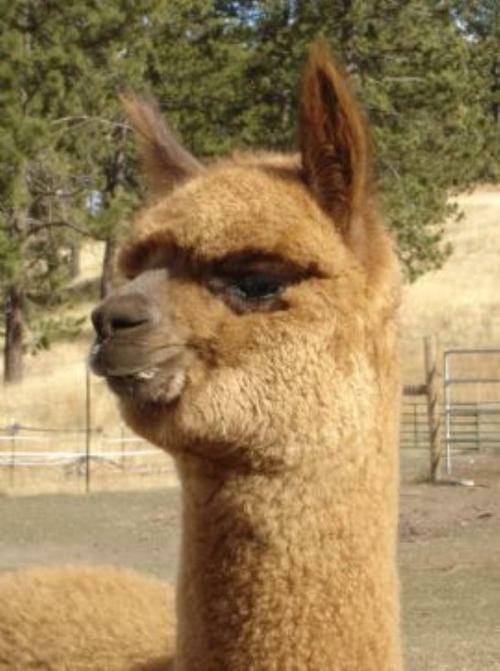 He is a large full Accoyo male, and carries his Sires award winning fleece and presence. Accolade has now produced a majority percentage of offspring placing high in numerous shows including many first and Color Champions. Tasha passed away in December of 2012. However, she was the grand dam of our herd, so we keep her information here for reference. We count ourselves quite lucky to have started our herd with such an amazing female. Makella has it all - gorgeous fleece with uniformity, soft handle, fineness, tight crimp, and density, along with beautiful conformation, a perfect bite, and ribbon-winning presence. Makella has won 5 blue ribbons in 3 different show types - shorn halter, halter, and fleece - proving that she is a complete package. With her 3.5-year-old fleece she won a blue ribbon and RESERVE COLOR CHAMPION in the Northwest Alpaca Showcase 2007. 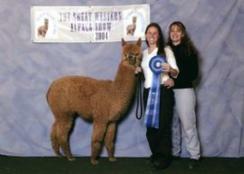 The following year she won 2nd at Nationals with her 4.5-year-old fleece, beating some very well-known farms. And in 2009 she got 1st at the AOBA World Conference with a 19/20 in fineness and handle. The fact that Makella maintains ROYAL fineness and UNIFORMITY as she ages is exactly what we are breeding for. 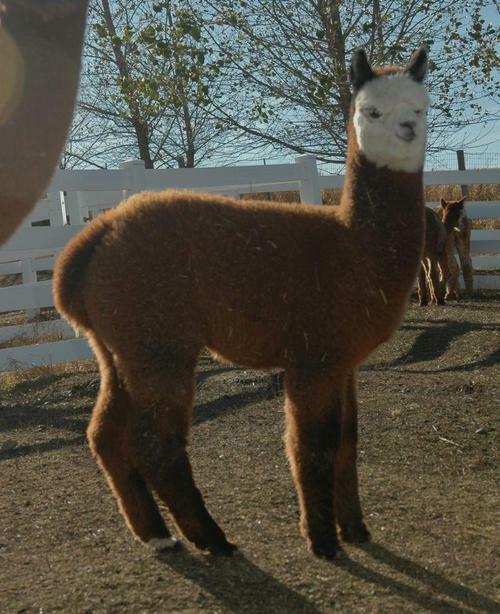 Makella has superior genetics in her background (Peruvian Accolade, Peruvian Augusto, Peruvian El Moustachio) and passes them on to her crias in prime form. Over the years she given us 4 lovely brown girls with incredibly soft handling fleece & fantastic conformation. In 2012 she produced an extraordinary brown boy out of Snowmass Silver Signature. 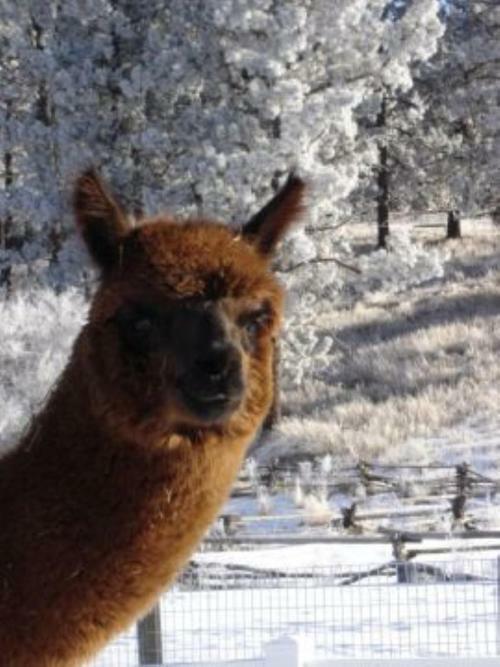 His grey genetics shine through in his all white head, while his absolutely elite genetics shine through in everything else including his luscious fleece, excellent bone substance, and already studly attitude. We are watching this boy closely! Flexible financing available on most purchases.